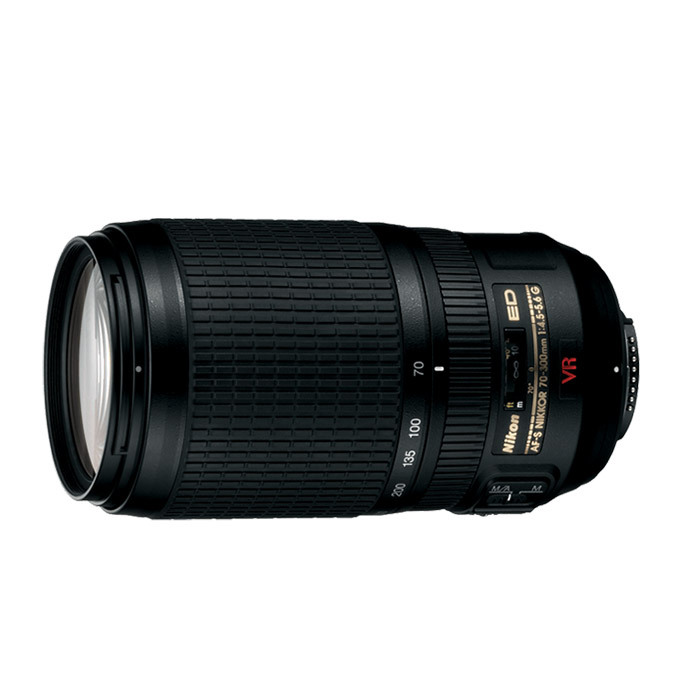 View cart “Nikon AF-S Nikkor 300mm f/4D IF-ED” has been added to your cart. The compact, lightweight AF-S VR Zoom-Nikkor 70-300mm f/4.5-5.6G IF-ED delivers 300mm of telephoto reach (450mm equivalent on DX-format D-SLRs) with Nikon’s second generation of Vibration Reduction (VR II) for enhanced hand-held and low-light shooting. Powered by Nikon’s exclusive Silent Wave Motor (SWM) for ultra-fast, ultra-quiet autofocusing, and optimized with the latest advancements in lens design, it draws peak performance from both FX- and DX-format DSLRs. Leave the tripod at home and create stunning still images and HD videos from any distance.